I'd say I really like it, but I don't love it. If I could I would take only half a star off for the cons below. ProsI like the color. The harness straps are nice, baby loves to chew on the shoulder pads. I like that it can face the parent or the world. I do love the canopy, that's probably it's best feature! It's not terribly heavy. It fold weather the seat is facing on or out! ConsI don't like the way it folds, it's ok but could be better. I wish the foot rest came up a little higher like other models do. 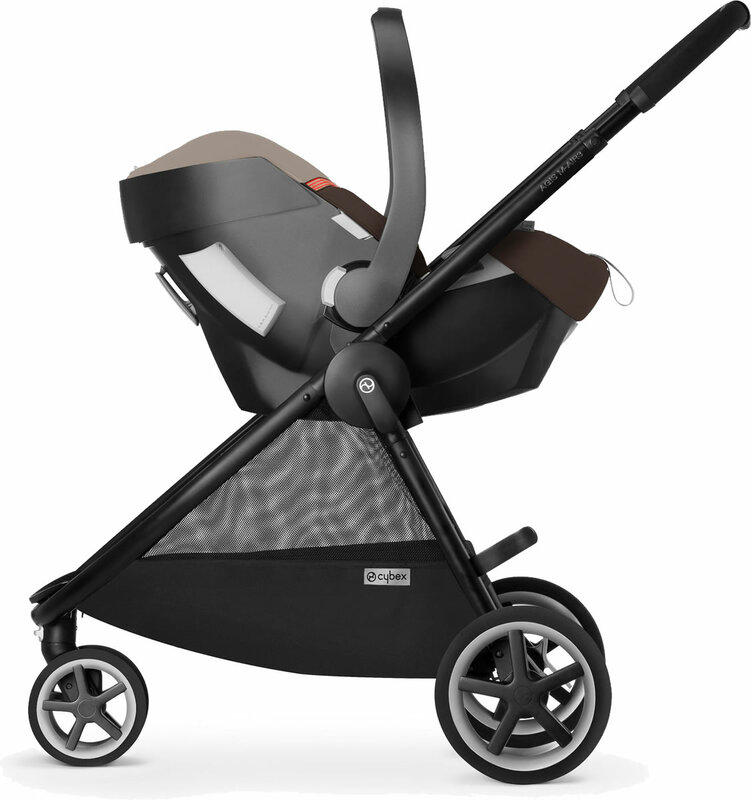 This stroller is extremely easy to assemble. Itâ€™s a simple stroller thatâ€™s mommy made in heaven. My niece is super comfy in the stroller. My sister and I love the stroller. First off let me start by saying how easy it is to put together. 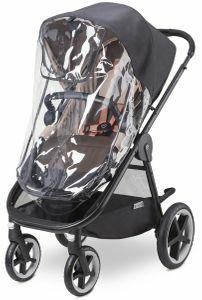 The stroller maneuvers so easily, the canopy is my favorite feature because it really blocks out the sun from all angles. The design is very modern. I love that the seat can face the person pushing the stroller or the opposite direction. Another great feature is that it inclines all the way back, convenient for when my baby falls asleep. Over all Iâ€™m extremely happy with my purchase, not to mention how fast my order arrived! This stroller works excellently for us! Perfect for what we need right now! 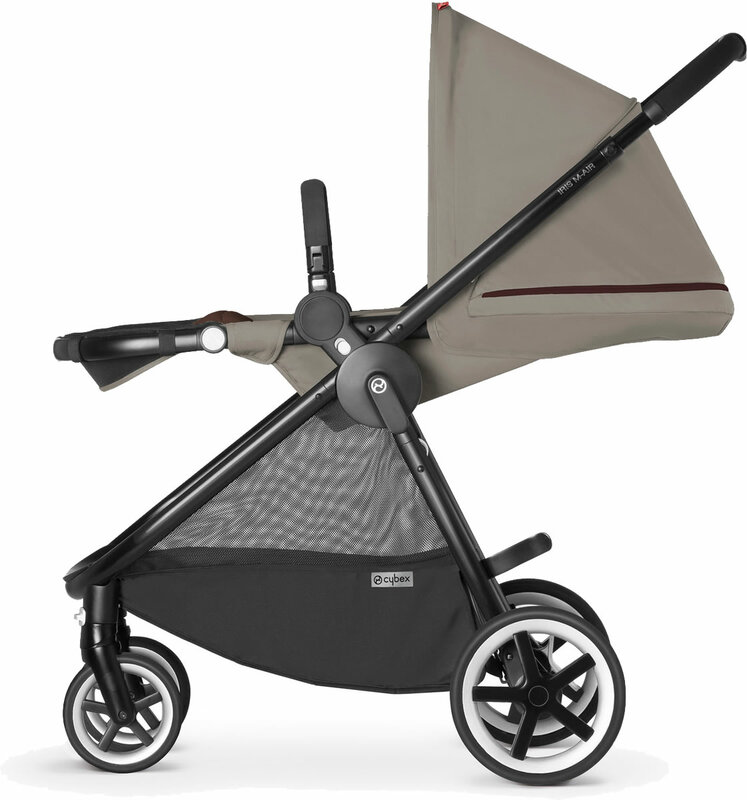 The Cybex Balios M Stroller is a nice gold tier stroller. The recline is flat enough to use from birth, it's actually more flat that my bouncy seat and rock n play sleeper. A bassinet is not necessary for this stroller, I will be using it from birth. The assembly took less than 15 minutes, put the seat facing outwards first and mess with the recline before facing it to parent. The wheels are quite impressive they are sturdy and did great over playground mulch on my walk. I would say this stroller is outgrown shortly after your child reaches 3T clothing due to the depth of the seat. 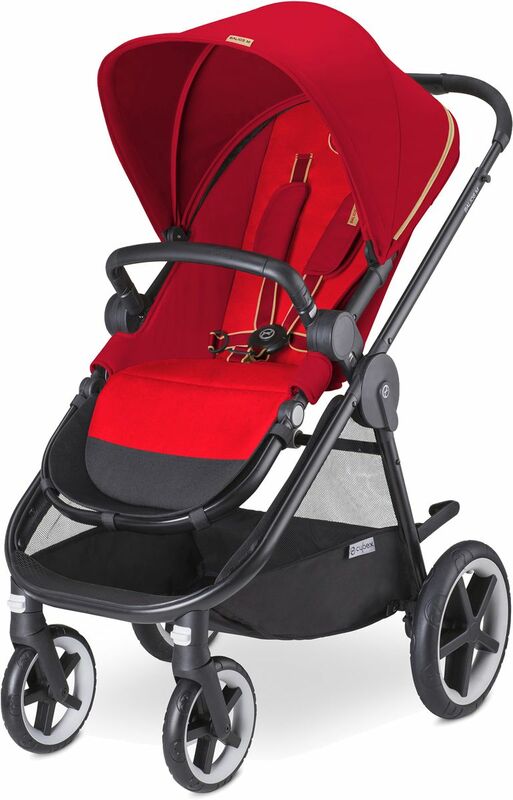 In height, this stroller could fit a child until about 4. 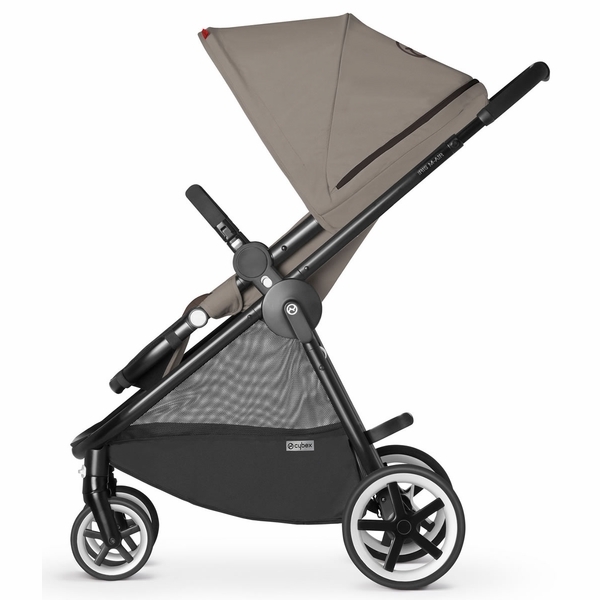 The stroller is not difficult to fold once you figure it out. At 9 months pregnant, I was able to do so one-handed. 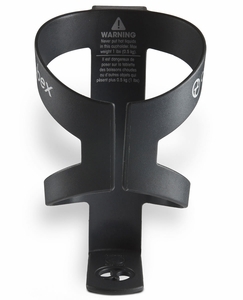 Pros- The adjustable handle height is PERFECT. I am a tall woman right at 6ft and the handle extended fully is fabulous. -The canopy is NO JOKE. It is massive and provides the option for airflow. The height of the canopy is great too. My 3-year-old has about 3 inches of clearance while sitting in the seat. - The basket is amazing. It will fit a full sized diaper bag along with any shopping bags. There's no need to hang your bag from the handle. You can easily access your bag from the front or the back with one of the largest storage baskets I've seen yet. Cons- I do not like the feel of the foam on the handles. - I prefer a 1 step fold. 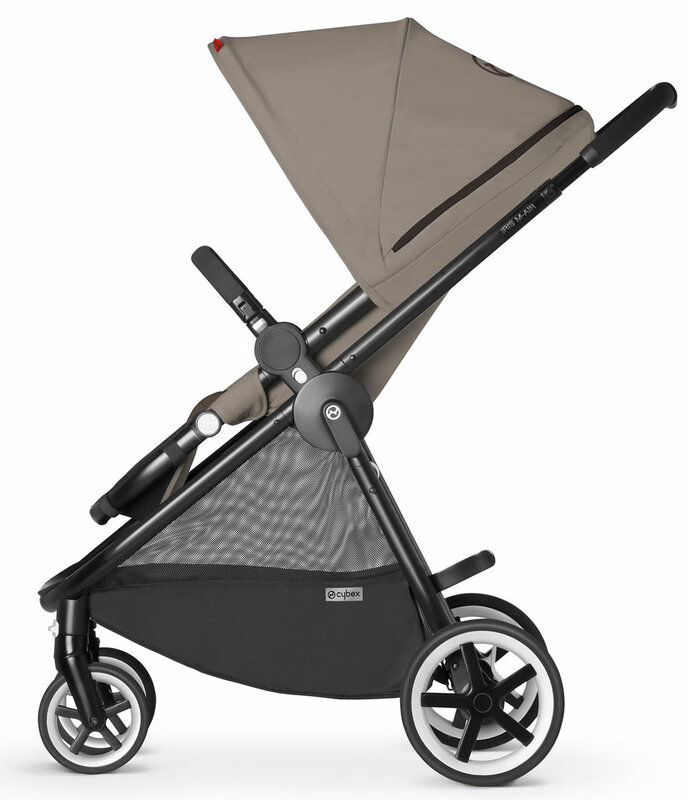 However, the only full sized all terrain folds I think are better would be the Britax B-Ready or the City Select style folds. The fold is very common now with luxury brands and is still an easy 2 step process that can be done 1 handed. 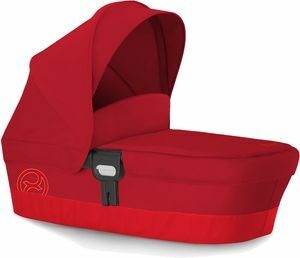 Best UsesIf you like the Britax B-ready but want something slightly more narrow and do not need the expansion option this is a great option. It's a little more sleek, highly attractive, & more exclusive. -Parents who want something stylish - From birth to about 3-3.5 years old. 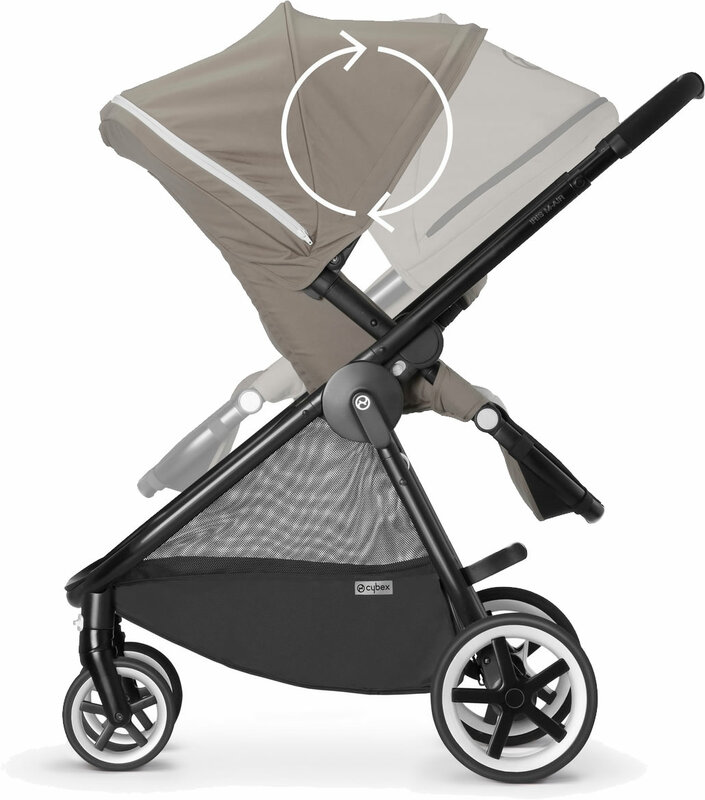 (Recline is flatter than a rock n play sleeper) -Those who are looking for great sun protection. After obsessing over new strollers for a while, my husband and I were told about this model and decided to buy it on sale. 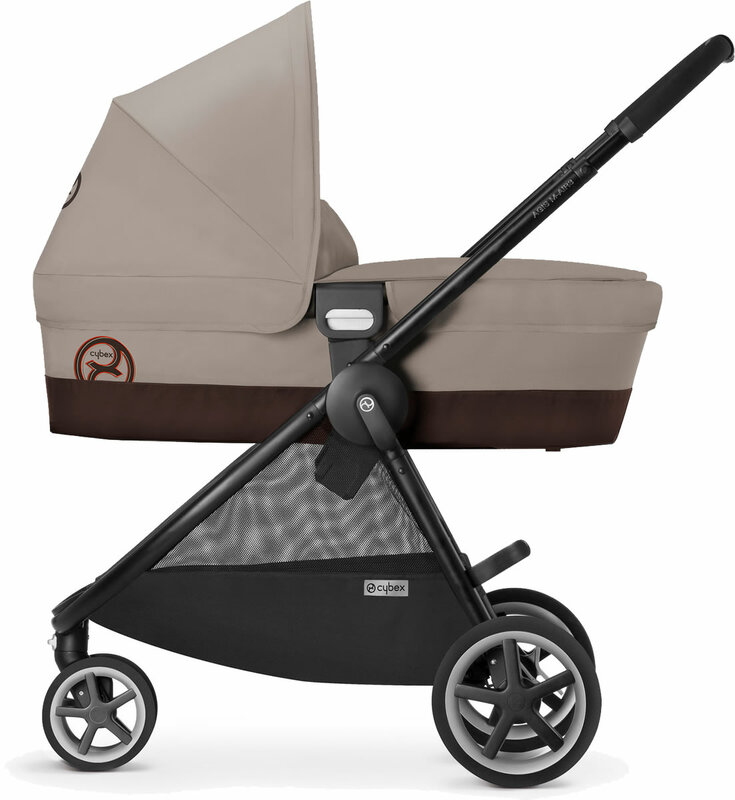 We love it - it handles and pushes well, looks great, is easy to adjust, and my son loves riding in it. 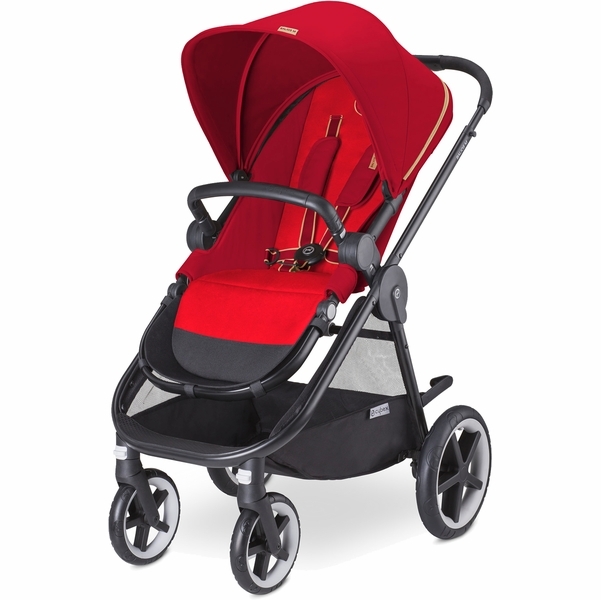 It has the look and feel of a high end stroller at a better price point. I especially love the adjustable handle bar and large canopy. I just got my stroller, and i love it. Pros: 1, larger sun canopy, 2, lay down pretty flat. 3,REVERSIBLE SEAT 4, Can't beat this priceCons : 1, a bit heavy ( 25lbs ) , 2, not that easy to fold 3, doesn't come with the car seat adapter.Overall still recommend this stroller. I bought this stroller for my brother & sister -in- law that's having their first baby. They love that it's very light weight and easy to fold. The wheels are durable for all terrains that makes it easy to maneuver around. Also, the handle height extends so it easy for my tall brother to push it around. The only complaint that they have about it is that it was difficult to detach the car seat at first. I think because the parts were all so new and stiff, but with a bit more use it's become very easy. I was very thorough in choosing a stroller for my first baby (who arrived at the end of July) because as a former NYC nanny I have years of experience with various stroller models and brands. I knew I wanted a travel system that was super easy to fold and unfold, that was relatively lightweight, and that didn't take up my entire car trunk. The Ballios M earns high marks from me in all of those categories, in addition to other features I love. 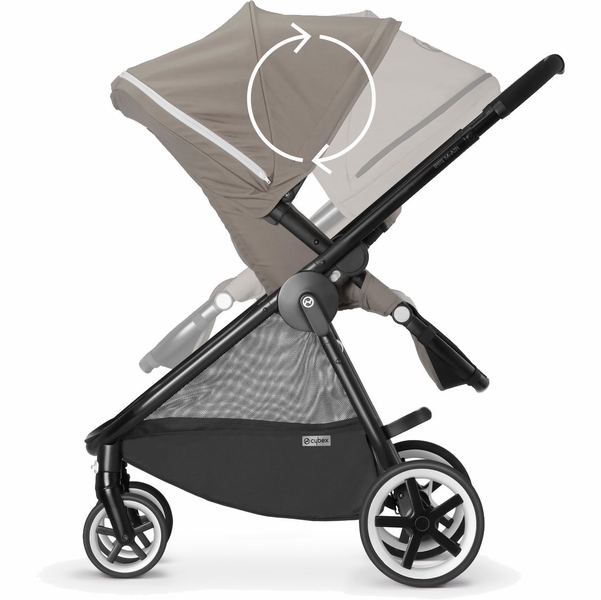 PROS: The stroller is extremely easy to fold and unfold with one hand. 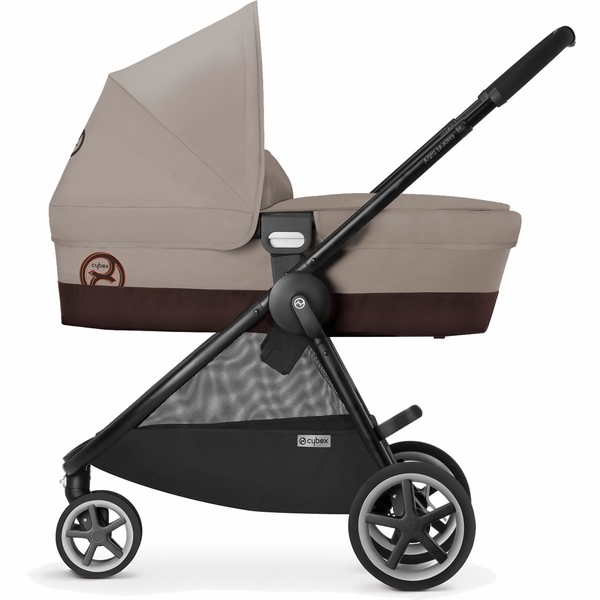 It's the lightest travel system on the market (from what I can tell) and also doesn't have a huge profile, so when I'm pushing it down busy sidewalks or in crowded spaces (like the Starbucks in Old Town Alexandria) people don't hate me for taking up too much space. The wheels are durable for all terrains. The seat can face either direction and has a deep recline which is nice for naps. Another thing I LOVE about the stroller is how smooth it pushes, with one hand, which makes it easy to open and go through doors by myself. Also, the handle height extends so my tall husband and I can both push it with no troubles. CONS: We have a newborn and have just been attaching our Cybex Aton 2 infant car seat to the stroller base for now. 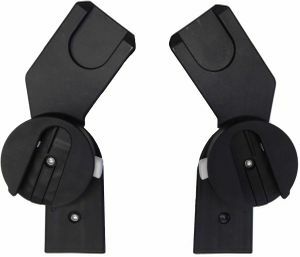 The only annoying feature about the stroller so far is that you have to buy the car seat adapters separately. The first few times we attached the car seat it was difficult to detach, I think because the parts were all so new and stiff, but with a bit more use it's become very easy and I am able to do it by myself. Also, just a note, when we assembled the stroller the front wheels were already in the lock position and the stroller didn't push right until we realized that and unlocked them. 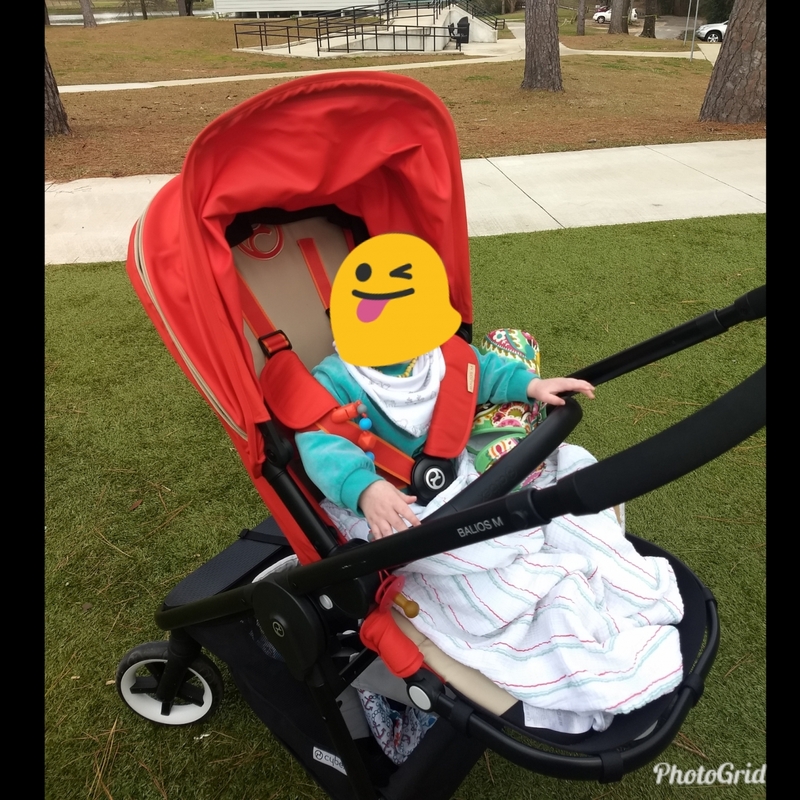 It's been smooth sailing ever since.OVERALL: For the price (it's cheaper than the comparable UppaBaby Cruz travel system) you really can't beat the Ballios M. I'm really happy with our purchase. Is this a 5 point harness or are there just shoulder straps? The Balios M fuses comfort and elegance. Thanks to the big robust wheels, it has no problem mastering uneven streets and curbs. The reversible seat can be reclined for comfort as the child grows and you only need one hand to use most of its functions. 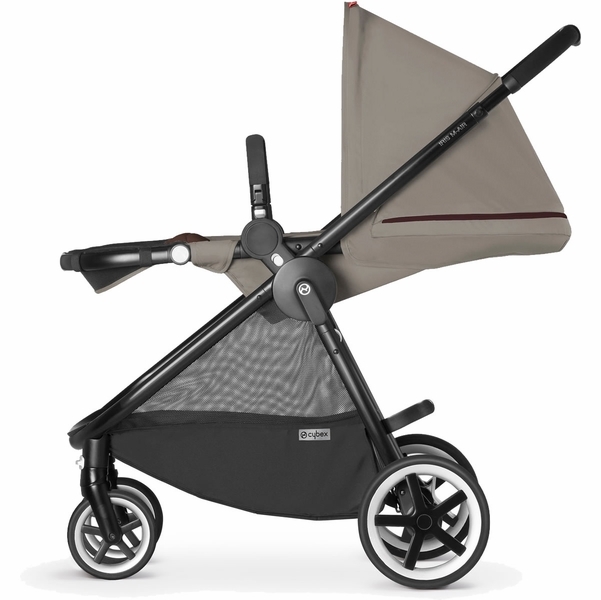 These and other ingenious design characteristics make the Balios M the perfect city stroller.